Pilates Palm Springs is a full service studio dedicated to the exercise techniques of Joseph Pilates. Originally developed as a rehabilitation technique during and after World War II, Pilates has been embraced by dancers and athletes the world over as part of their regular workout routine for the better part of a century. In recent decades, Pilates has gained tremendous popularity with all those wishing to lose weight, strengthen core muscles, improve posture and balance, correct weaknesses, and strengthen and elongate the entire body. 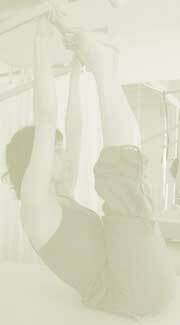 Please join us for private or group classes in the Pilates Method. Our experienced instructors will guide you in achieving your fitness goals as you learn or master an almost endless variety of exercises and routines on Pilates equipment (Reformer, Cadillac, Barrel, WonderChair and Spine Corrector) and in mat classes. ©Copyright Pilates Palm Springs 2006. All Rights Reserved.